Everything you ever wanted to know about the drums! Lesson plans are custom made for your individual goals! Musically and personally, I strongly feel that diversity and openness are key in a person's development: when we move outside of our comfort zone and embrace the unknown, we are better able to grow as musicians (and human beings). As a performer, I feel that performing with musicians of different backgrounds is a constant source of inspiration and engaging music. As an educator, I emphasize the role of music as a form of expression and its parallel to verbal language. As children, we learn words and sentences so that we can accurately and gracefully express ourselves and, in this sense, music is no different. I encourage students to enjoy the music-making process and to view mechanics as a means to an end. of all types, from rock and pop to big band to world music to orchestral to small combos and everything in between. In 2007, I embarked on a two and a half year gig with Princess Cruises as a show band drummer, and traveled the world on some of the world's most modern ships while performing on stage over 1000 times. From 2011 to 2013 I was the touring drummer for renowned Celtic/Gypsy/Americana band SCYTHIAN, a band which tours extensively and is known for their energetic live show. Other groups I have recently recorded and toured with include "Yall-ternative" fan favorites Mr. Fuzzy & The Barbarian and modern funk band The Royal Noise. In 2014 I relocated to College Park, MD and I love it! When we work together we will split lessons between the necessary mechanical aspects of the instrument and the more creative and spontaneous elements. At the beginning, I emphasize a relaxed technique and an efficiency of motion. Once this is established, we will explore the instrument through improvisation and other creativity exercises. Although drumming can be very technical, I never lose sight of the importance of groove, expression, and having fun while playing. My studio is complete with 2 drums sets, practice pads, computers, hand percussion instruments, and other instruments for accompaniment. I try to split lessons between the technical elements of drumming and the more creative aspects of the instrument. I feel that you can't have one without the other and teachers need to be mindful not to lean too much to one side. I also strive to give the students practical examples in their style of interest and encourage them to apply what they learn to actual musical situations as much as possible. I have had experience in pop/rock, jazz, show music, and many traditional world-music styles. From the first lesson, Andrew has been a consummate professional. Each lesson he brings in something new, while making sure that everything we've covered in the past is still ingrained through repetition. Having Andrew as an instructor has opened my eyes to the many facets of drumming, and I have taken skills/techniques with me that will last forever. The feedback does not stop after each lesson, Andrew is available all the time for any questions I may have during the week if I am stumped while practicing. His schedule is flexible with mine, and he is willing to bring in music that I want to personally learn. The lessons are the right balance of fun and teaching, and his studio promotes a learning environment that is not intimidating to let loose if you're a beginner like me. I'd recommend Andrew to anyone looking to expand their skill set, the lessons have been a great experience. Give me the beat. Basic three piece trap-set to eight piece wih cymbols. Have you the drive to make the Rhythm? To achieve the motion necessary in the music and set the other instruments on the roll to Rock. Counting the structure of time in musc. Learn the system . This all applies to purcussion instrtuments alike. Just different techniques to clockwork timing. If you want to really rock on the drums I can get you started. I have MANY years of playing, performing, and teaching experience. Want to learn to play your favorite songs? And hopefully develope your own style! Let's rock! I was exposed to music right from childhood. I have been in a Music Band for 6 years. I'll be available for eager students who wants to learn Rhythm. In this drum lesson, you will learn to feel the flow of rhythm in your body. You will also know the hand-drumming basics, how to create all notes, and to develop hand and foot independence and most importantly how to RELAX while drumming, and learning how to play MUSICALLY. I focus on classical percussion with some drum set. For more details please feel free to contact me. I am very student focused and driven. I want to help my student realize their full potential with playing drums. I can introduce my student to a basic understanding of music theory and hard rock/metal drumming is my main focus - however I am versed in other music genres as well, to give my student the most options to work with. Relaxed, fun, and detail oriented are all words I would use to describe myself. So, if you are looking for a drum teacher that can cover: rudiments, stick control, basic tempo/time understanding, metronome familiarity, tuning of a kit, drum maintenance, and much more, look no further! "Great first lesson. Murray has patience and knowledge." mend Murray if you are interested in learning while having fun. Great guy!" 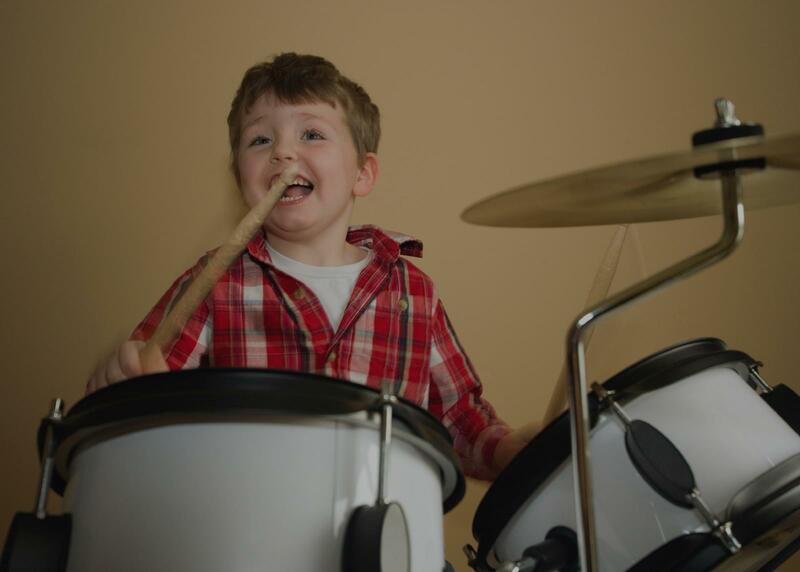 udents can easily comprehend and adjust to, and builds my daughter's confidence in more than using the drum kit but also in her personal experiences. I say he cares about all his students more than just being a "drum" teacher, but a friend and at times a supporting parent for the youth. I interact with many of his adult students, and we are all very appreciative of his professionalism and individual connection to our styles while teaching each of us individually. He is very astute at the art and mechanics of drumming which translates into a flexible personable teacher. Oh yes, For all the tangibles and intangibles, his prices are soooo affordable and competitive." ly adapted to the benefit of the individual student and his professionalism is a breath of fresh air. My child is having so much fun and is thriving in his drumming lesson. We recommend Mr Piper 150 % !" t more about drumming from him than the other instructors I have had." red me to practice for SEVERAL hours a week. Murray has not just simply gone through the lesson plan, but has given me some very good suggestions on how to practice more efficiently and gain comfort with new material. I see progress and I look forward to more in the upcoming months."